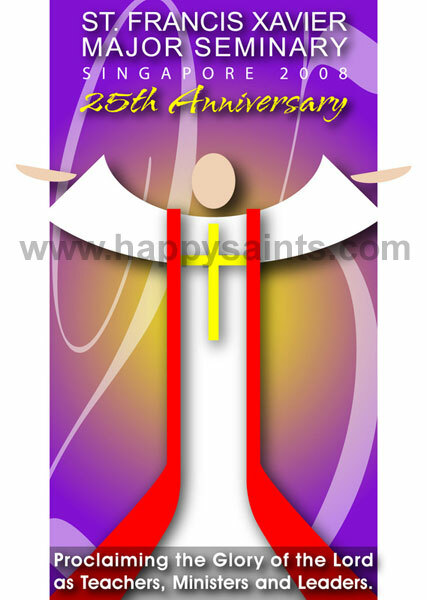 Second logo in my showcase is for the St. Francis Xavier Major Seminary's 25th anniversary celebrations in Singapore. The central figure in the logo is a priest proclaiming the Glory of the Lord. The red stole and the cross resemble the Major Seminary's iconic tower, symbolising the institution's central role in forming and training priests for the Archdiocese of Singapore.